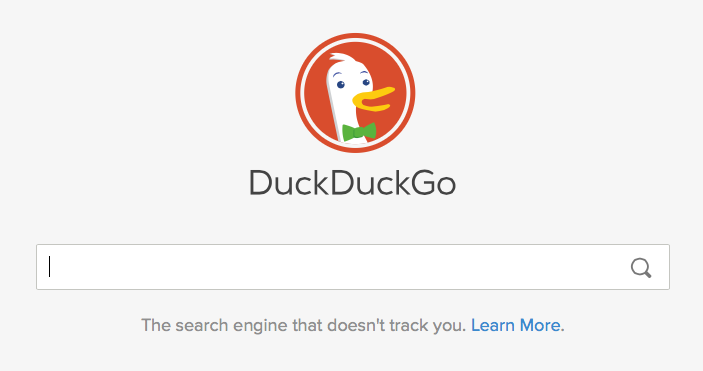 DuckDuckGo is quickly gaining traction thanks to its reliance on privacy. But, what are the best methods of SEO for DuckDuckGo? DuckDuckGo is definitely the new kid on the block, but how do you SEO for DuckDuckGo? The privacy-first search engine DuckDuckGo continues to grow, fast, and SEO professionals are paying attention. There are many specific tactics to rank on the hybrid search engine. As it’s a pretty new kid on the block, great SEO for DuckDuckGo is hard to find. However, identifying hyperlocal keywords is a great place to start. Unlike Google, DuckDuckGo doesn’t track the location of the searcher. With the company’s primary directive of letting its user search the internet in privacy – no tracking, no targeting – DuckDuckGo doesn’t know where the user is. They use a Geo:: IP, so they know generally where the searcher is by their IP address. It’s up to the searcher to tell DuckDuckGo where they are. This makes the use of hyperlocal keywords an essential tactic when considering SEO for DuckDuckGo. As always, the SEO game starts with understanding what, when, where, how, and why your customer searches. Thinking hyperlocal should be one of your first steps when utilizing SEO for DuckDuckGo. Unlike Google, DuckDuckGo doesn’t track the location of the searcher. With the company’s primary directive of letting it’s user search the internet in privacy: no tracking; no targeting. Going hyperlocal requires a more in-depth, detailed keyword research. Let’s start with the basics. Load up on your geo-qualified keywords. If you’re hoping a Dallas-based customer finds your Houston-based pizza place, your geo-qualified keyword is “Houston.” This is something to do for any search engine but is essential SEO for DuckDuckGo. If I am searching for pizza in Houston and I type “pizza” into Google, Google anticipates the rest of my search. Google suggests “pizza near me” before I’ve had time to type “Houston.” If I click “pizza near me” the results accurately reflect my location. The next step would be to go hyperlocal. Where is your pizza place? How can you make sure the searcher finds you? First, find out how the searcher would describe the location. Those are your hyperlocal keywords. They are the words searchers use on DuckDuckGo to find your Houston pizza joint. For example, customers might search “Pizza near Minute Maid Park” or “pizza Montrose Houston TX” or “best pizza downtown Houston”. Nailing your hyperlocal keywords helps DuckDuckGo locate your pizza place for the hungry Houstonian. While you’re at it, makes sure and get specific about what makes your business special. If you have the best Hawaiian pizza in town, put it on your keyword list. If the Houston Chronicle agrees, add them to your keyword list. The user might vaguely recall that they read about a wonderful Hawaiian pizza in the Houston Chronicle. They think it is in the Montrose area. If you built a killer hyperlocal keyword list, then your content has them covered. Houston is a large city with plenty of volume data to research, but what if you operate in a much smaller town? A city with 2 million people is a hell of a lot easier to keyword research than a town of 10,000. So you how do you build your hyperlocal keyword list from a small data sampling? Here’s a tip stolen from our friends at Moz: try researching a similar, larger, region. Using the Google Adwords Tool to find keywords for a town with a population of 4,000 yields few results. So, locate a larger town nearby with a larger population and see what they are searching. Moz uses the example of Ruidoso, New Mexico versus Santa Fe. Santa Fe is only a few miles away but with a population ten times that of Ruidoso, you’ll see a larger yield of data. The search patterns of folks in Ruidoso are likely similar to those in Santa Fe. You can build a better keyword list for your DuckDuckGo strategy. DuckDuckGo is now a search engine to reckon with, but the savvy SEO pro needn’t fear. Remember that DuckDuckGo is a UX company first and foremost. They place a high premium on the customer’s privacy and the accuracy of their results. Above all, you’ll need a fast-loading, mobile-ready website. Don’t be afraid to use search tools like Google Analytics, Ubersuggest, and Ahrefs to understand who your customers are and what they are searching. Always keep in mind that Google and DuckDuckGo use different algorithms to rank their searches. However, knowing what your customers search on Google still matters. Research trumps guessing always and forever. Don’t be afraid to use search tools like Google Analytics, Ubersuggest, and Ahrefs to understand who your customers are and what they are searching. Once you have that data, reverse engineer your process of SEO for DuckDuckGo. Going hyperlocal is a great way to start because it aligns your thinking with the customers. This can be a lot of fun. At the purest level, SEO is about understanding your audience. Going hyperlocal zooms in on not only where your customer is, but how they see and describe their environment. DuckDuckGo provides its users with a space to search without thinking about what ads they might trigger, or how Google may target their results. DuckDuckGo needs their rankings to compete with the Google, or Yahoo experience. It’s looking for authority and specificity. Hyperlocal SEO content does both. 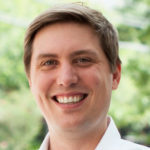 What are your best SEO Tips for DuckDuckGo? And how do you know duck doesn’t track you? You really don’t since they refuse to open source their code. They are just as opaque as Google is. For true privacy you need something open source where you can see the code and if that isn’t enough you can run your own instance. Jive Search is essentially an open source version of ddg but Yacy is also good.